Interlocking shapes define our casual and comfortable cotton Matelasse. 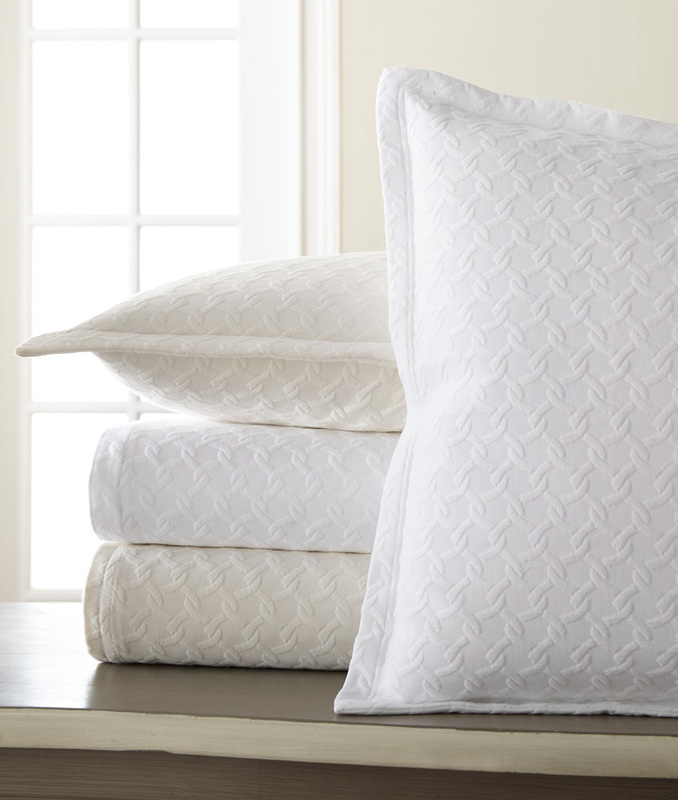 Twin, Queen and King Coverlets available in White. Queen size only in color Natural.